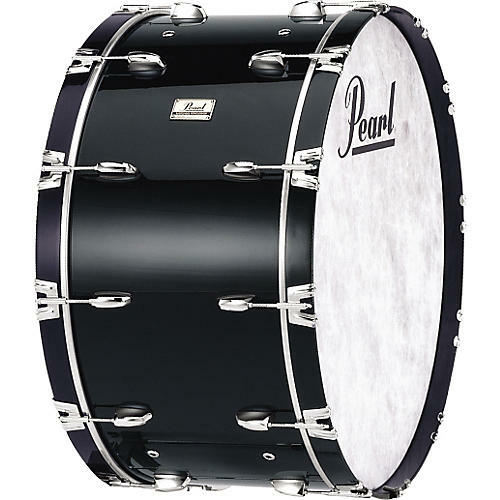 Pearl concert bass drums feature 100% mahogany 7-ply shells that deliver warm, full-bodied tone with excellent low-end presence. Remo Fiberskyn3 heads, key-style tuning rods with high-tension claws, and 1-1/2" maple hoops. Durable black covered finish.